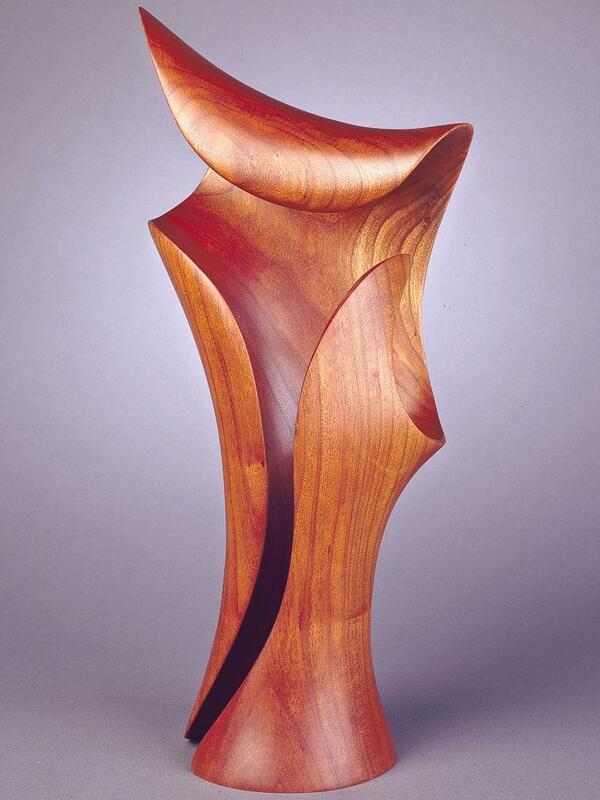 Complementary curves define this Black Cherry wood sculpture. It is small and graceful. And I think it moves well and makes a real statement for its size. The inward sweeping lines are meant to complement each other, even when in opposition to one another. I worked to capitalize on the principles of line, form and balance. I admit I borrowed a few line ideas from Morph IV and Morph VI – resulting in its slender, open front curl, and up-swept spire on top. That influence, I believe is natural and part of my inborn desire to constantly improve on my sweeps and curves. And, besides, since it’s my work I’m borrowing from, I do not feel the least bit guilty of plagiarism.